The Alette Wall Light by Heathfield & Co features a luxurious crescent shade with fluted glass globes. 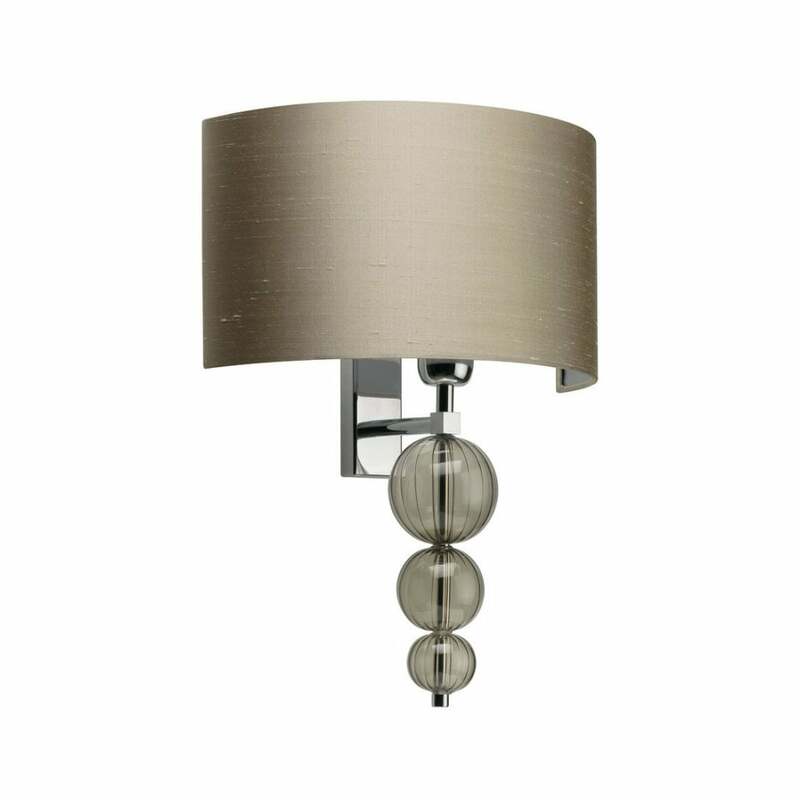 Sophisticated and timeless, the design will add an elegant statement to a bedside or dressing room suite. Finished with a sleek stand and base, the backplate is available in various metal finishes including antique brass, oiled bronze and nickel. Fluted globes can be comissioned with smoked or opal jade glass detailing. Make an enquiry for more information. Priced for 12" Crescent shade in silk with white PVC lining. Please contact us for other options.